This page will cover all the changes made to the Columbus external payloads platforms throughout its history. These external platforms are called the External Payload Facilities (EPF) and are 4. Two identical L-shaped consoles attached to the starboard cone of Columbus in the zenith (top) and nadir (bottom) positions, each supporting two platforms for external payloads. 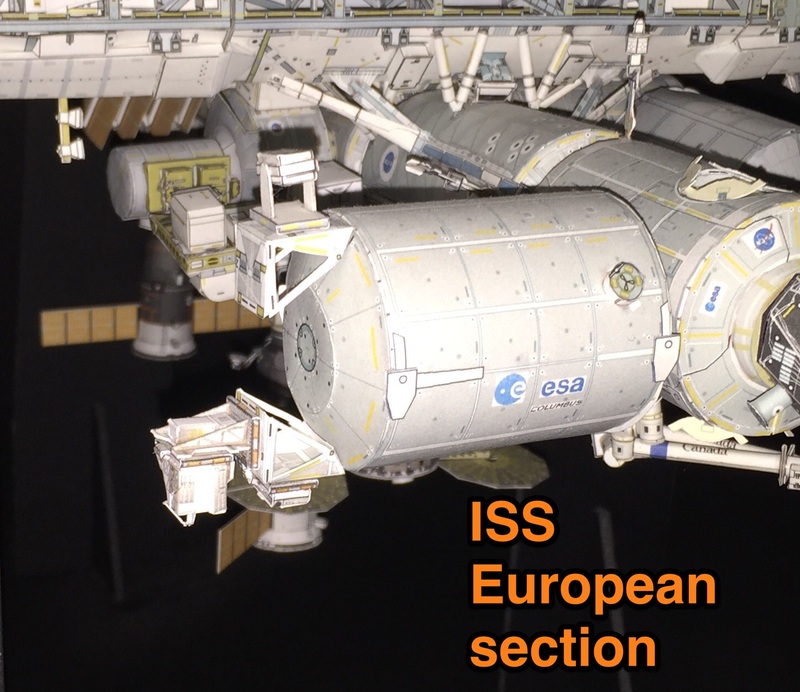 The link below tells the story and can be a guide to all modelers who want to update their ISS paper model in 1:100 scale.